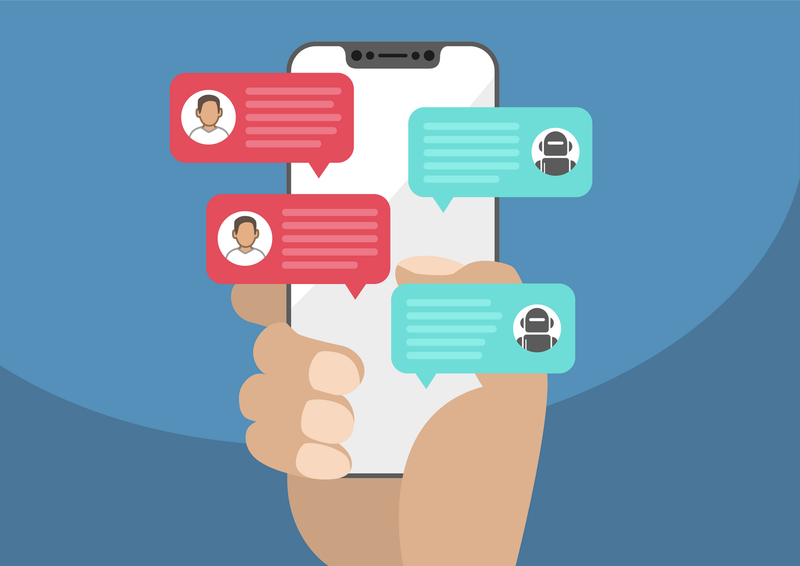 There are many frameworks available to start developing your chatbot solution, for example, Google’s Dialogflow, Amazon Alexa, or Bot Framework from Microsoft. The benefits of using any one of these are undeniable: you can stand up a minimum viable product quickly. Without having prior AI knowledge, you can design the chatbot to fit your domain and integrate it with other services you already use. Some of them even have free offerings with sufficient capabilities to test your ideas, without investing a lot of time and cost. Today’s consumers are “shopping” for healthcare now more than ever. 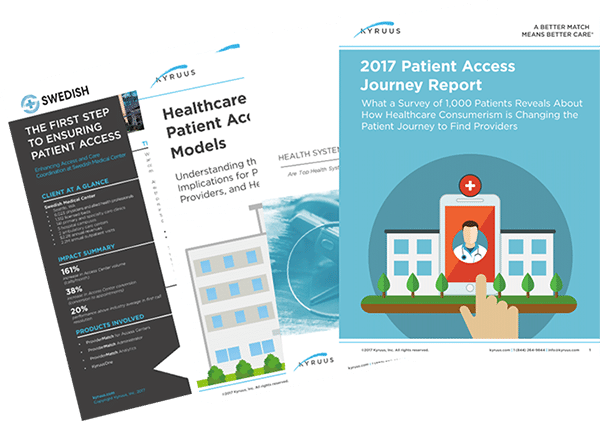 And while convenient care options and access to rich provider information are driving healthcare consumers’ decisions around selecting care, insights from our second annual patient access report show that cohesiveness in the patient access experience is lacking. 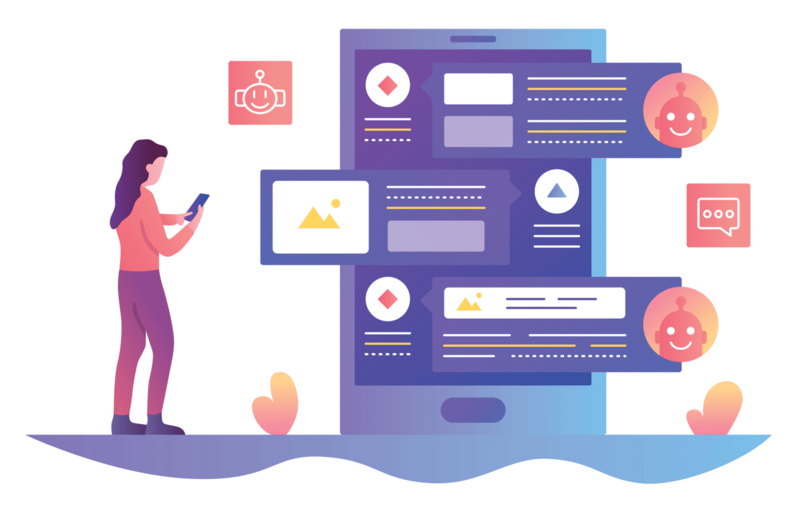 Among the first things you want to consider when you’re ready to integrate chatbots is how they align with your product strategy and customer value proposition. 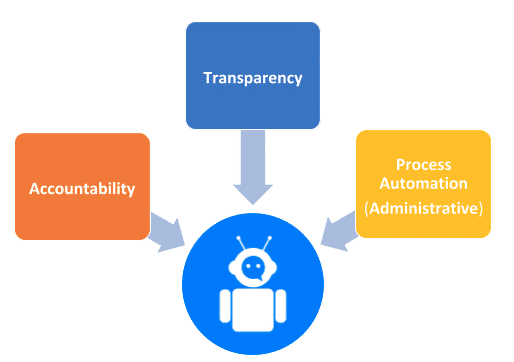 In the healthcare space you'll also need to consider and account for the ethical, regulatory, compliance, and operational requirements in the design of the chatbot. I’ll be leading the “Exploring New Frontiers of Patient Access” track, which is incredibly timely and important given the velocity of discussions I’ve been in with customers who are eager to push patient access boundaries at their health systems. 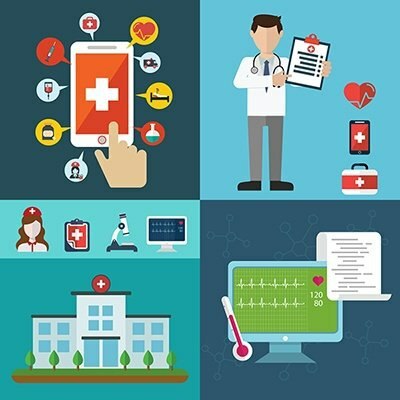 The Driving Your Health System’s Digital Transformation track at this year’s ATLAS focuses on a topic that has been defined as the “use of technology to radically change the performance or reach of an enterprise,” per the widely recognized definition of MIT Sloan professor George Westerman. We will be covering topics ranging from how to introduce digital transformation initiatives into your organization, to physician engagement in the context of said initiatives, along with real narratives from leaders who have taken digital transformation journeys at their respective organizations. Taking a look back at our most popular content pieces from 2017, one thing is clear—health system leaders are focusing on enhancing patient access and providing a consistent enterprise-wide patient experience. 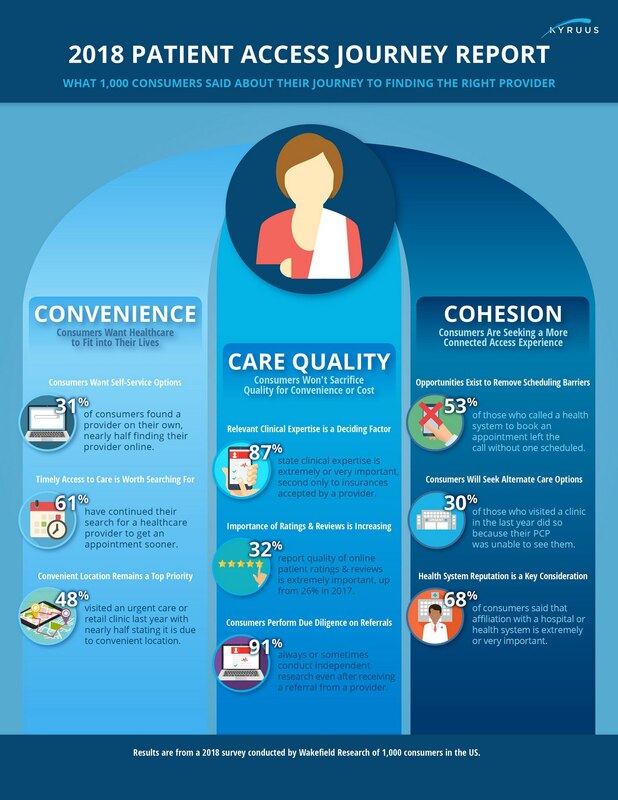 Health systems are evaluating their current patient access models to determine if they’re meeting patients’ preferences to schedule appointments in an efficient manner and they’re staying ahead of the latest healthcare consumer trends–online and offline–to establish priorities for the coming years. Throughout the year we have posted blogs from subject matter experts sharing their expertise in patient experience and access. A common theme of our 2017 top viewed blog posts is understanding the patient journey of care. As the posts suggest, health systems must adapt to the evolving way in which patients are now obtaining information about their care and the providers they are choosing to receive that care from. Patients are behaving increasingly like consumers of healthcare and as such, health systems must adjust their strategies to align with this shift. Finding the right match between consumers and providers is a key part to establishing a long-term relationship between patients and healthcare providers. Health systems are well-equipped to facilitate the relationship and consumers recognize their critical role in this. Healthcare consumers are becoming savvy shoppers. Our research conducted in the summer of 2017 shows that while many consumers still prefer traditional methods for finding providers (such as referrals from healthcare providers), most are performing some level of due diligence before booking appointments—and they're going online to do their research. 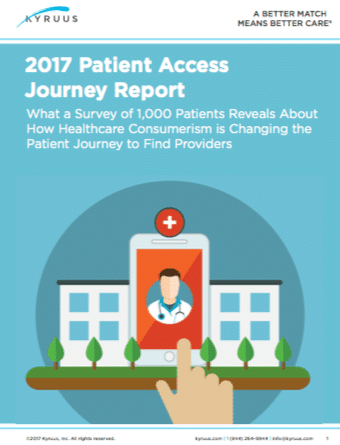 Learn more about how consumers access healthcare providers in the 2017 Patient Access Journey Report.